Somehow I have the feeling that author tries too hard to find ''average'' or ''transatlantic'' Portuguese usage in which differences between Continental and SouthernAmerican usage are minimized...But, by doing so, you get a distorted idea of both Continental and Brazilian Portuguese. The only chapter worth reading is the one on Brazilian diglossia. I wish I had found this sooner. It would have been a useful resource for my graduate students in applied linguistics.The focus we chose in our seminar, of preparing ESL materials for Brasilian students and visitors to the U.S. is the "inverse" of the the author's attempt to provide a thorough linguistics-based orientation for English-speakers learning Portuguese. 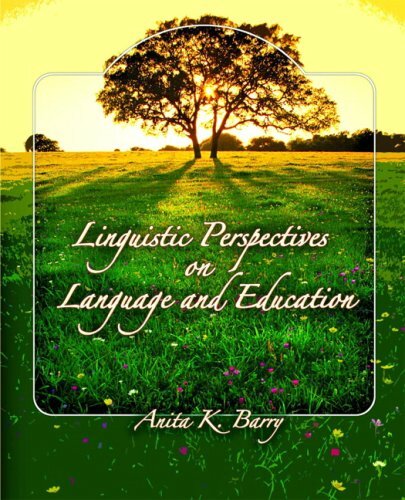 Nevertheless, valuable comparisons can be found throughout this very amenable introduction to linguistics for ESL or EFL teachers who are English-speakers with limited to no knowledge of Portuguese who are attempting to anticipate useful comparisons or as I have decided to call them to avoid the pejorative impression given by talking about "contrasts/conflicts"---"opportunities for clarification". As possible areas of need for clarification are identified through error analysis of the learners' "interlanguage", this thorough contrastive study provides the vocabulary and information needed to be able to provide guidance to English speakers learning Portuguese, and with some further inference and experience to support reversing the direction of the analysis, to assist Portuguese speakers who are further refining their command of English as a Foreign or Second Language. I do not dispute the previous reviewer's concerns about inaccuracies in a few details regarding differences in European and Brasilian Portuguese, as I certainly lack any credentials to judge that. I did notice a few minor typographical/copy-editing errors of the sort that seem to plague everything that has been published in the last twenty years, but that hardly inclines me to blame the author, who probably had little or no opportunity to review every page and line of the final copy. Nevertheless, after spending "time and treasure" trudging through a number of other sources, none of which were accessible to novice students of applied linguistics, few of which were readable for those who like to read with their eyes open, and none of which could be described as "lucid", much less useful for practical purposes...I certainly cannot find justification for rating this as less than a 5-star career achievement for the author and a positive delight for me as a reader and as a lecturer seeking useful examples of applied linguistics which fulfill some of the promise of that approach, with few of the defects of other writers who lack the ability to select and relate the pertinent aspects of a field of study which has evolved in a series of wild gyrations between intriguing theories and practical misuses. Thank you, Professor Azevedo, you "made my day"! This book contains a good deal of relevant information, but its impressive linguistic jargon may distract from the book's defects. A rather irritating feature is that a Latin language like Portuguese is analyzed from an Anglophone angle. Where it does not fit, it is 'wrong', as particularly evident in the distorted treatment given to the 'se indeterminado'. Claimed contrasts between Brazilian and European Portuguese are erratic and full of incorrect statements. 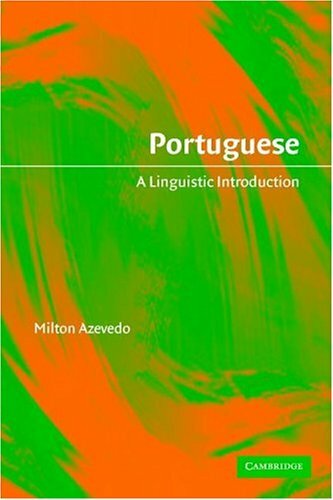 The expression 'a gente' appears in this book as a Brazilian Portuguese vulgar alternative to the 1st person plural, overlooking the fact that it is equally and widely used in Portugal. At the most elementary level, this book has yet to learn that the European Portuguese for bathroom is not 'casa de banhos' but 'casa de banho'. I was also disappointed with the pages on forms of address. Inaccuracies are everywhere, e.g., using 'tu' for maids in Portugal would not be an expression of solidarity as the book tells you but a way of talking down to them. This takes me to something else I find rather irritating. In the bibliography at the end of the book plenty of minor works are included but some key works are missing. Unfortunate lapse! In the chapter on forms of address the book states that a study has not been carried out yet on this topic. What about the excellent analysis by Manuela Cook, Uma teoria das formas de tratatmento na lingua portuguesa, published by Georgetown University in Hispania in 1997. This book should know about it! Teachers and learners in language studies all become aware of the inevitable "plateaus" in learning, where development slows or even stops before the learning curve climbs once again. 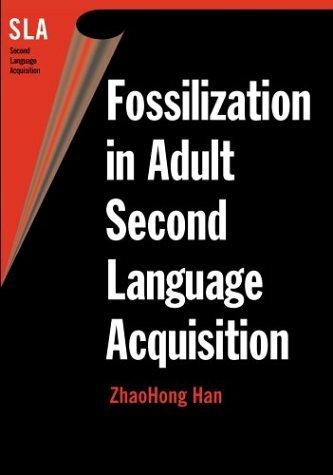 Fossilization in Adult Second Language Acquisition deals with the final plateau, that which all language teachers and learners fear most: the point where there is no further language growth. ZhaoHong Han has compiled a detailed survey of the 30+ year history of this topic and added findings of her own to present the most detailed and current discussion available. 2.95% Failure in Language Learning? If only 5% of adult language learners attain native-like fluency in a second language, clearly teachers and researchers should be concerned. This figure is in sharp contrast to the "95% success" rate in first language acquisition! Originally coined by Selinker (1972), the term "fossilization" has seen many interpretations and re-definitions. Most English language teachers themselves have their own rough definition ­ Han spends a considerable amount of time reviewing the field and establishing exactly what it is we are talking about. Her definition is based on "cessation of learning in spite of continuous exposure to input, adequate motivation, and sufficient opportunity to practice" as "modulated" by individuals' internal and external factors. A taxonomy of "putative causal factors" outlines 50 problem areas. Additional issues include identifying when ultimate attainment (failure) occurs, and the perspective that this is a multivariate outcome: there can be varying levels of success in various aspects of language competence within any given language learner. Han observes that fossilization is a process, not a product: we are not talking about a fossilized learner, but fossilized learning. This book is not for the casual reader, but instead for those teachers (and scholars) interested in the underlying issues. The first three chapters are an enjoyable, yet intellectually stimulating, overview of the conceptual underpinnings for fossilization. 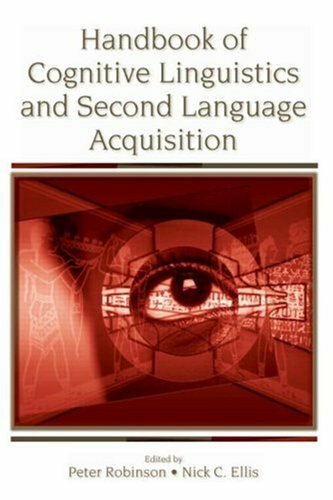 Chapters four, five, and six are a challenging read, with detailed critique of microscopic and macroscopic studies of second language acquisition and fossilization. An important consideration for Han is the modular nature of second language acquisition, which appears not only as multiple critical periods (sensitive periods) for various language linguistic domains, but the differing influences of various L1s for L2 acquisition, so that success and failure co-exist in any given interlanguage. Particular linguistic features prone to fossilization are discussed in some detail. Much of this section reads like a thesis, so put your thinking caps on! Many teachers may skim through the middle chapters, or even duck them altogether, but chapter seven brings the issue to the classroom. Fossilization in Adult Second Language Acquisition challenges the common perception that classroom explicit language instruction, particularly grammar instruction, is the prescription. Michael Long's 'Focus on FormS' versus 'Focus on Form' is just one of the approaches that are questioned. Unfortunately, Han does not provide an answer, merely observes that such certainty is not supported by findings from the limited research conducted to date. Similarly, comprehensible input, such as advocated by Steven Krashen, and Swain's comprehensible output, are challenged. Looking at the order of acquisition of morphemes, for example, it is shown that explicit instruction may be most useful for the easier rules. Furthermore, if students do indeed process for meaning before processing for form, this calls into question the efficacy of content-based approaches for language learning. All in all, Han suggests that there are elements of explicit language instruction, including corrective feedback, that may actually promote fossilization! When you are ready to put some time aside to seriously consider why your adult students seem to have stopped learning, this is a book you will want to visit. Diane Larsen-Freeman is quoted on the back cover noting that this book "will be widely cited for some time to come," and no doubt that's true. This book reads like graduate school supplemental materials... references are extensive, but the index is quite modest, and it sorely lacks a glossary - myelination? It's filled with challenging word choices as well - exogenous conditions, coinceptive, profundity. Overcoming the challenge is a great reward, however, and I can honestly say that the book is well worth the intellectual investment. 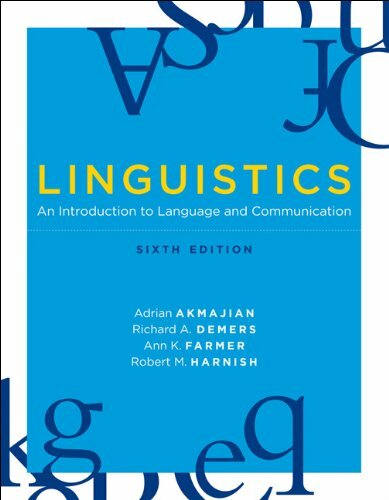 For the teacher looking to get a bit more into the theoretical side of language teaching and linguistics, this is an indispensible book. It covers a lot the jargon and terminology that go with the territory and gives a good, pithy overview of most things from syllabus design to grammar. 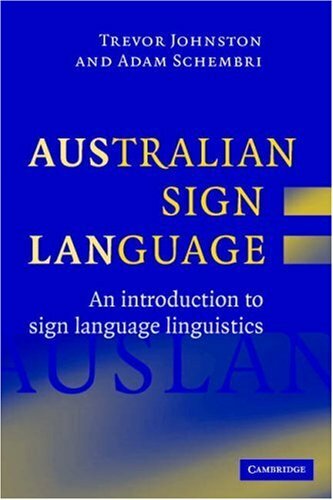 I have found it useful primarily to get my terminology right for assignments, but it is also helps with dealing with other books that have unexplained, but really specialist terminology. For this reason alone, it is really worth the paltry sum needed to get it. The book is into its third edition now, (to which this review refers), and should be an ongoing classic in the field. I truly recommend this book to you. 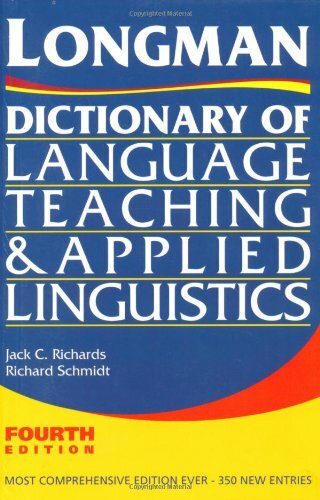 The Longman Dictionary of Language Teaching and Applied Linguistics provides a concise place where the language teacher or language researcher can find definitions of terms they don't remember in their field ofspecialization.It gives not only lengthy contextualized definitions butalso provides references for those who want to look deeper into a topic. The dictionary also provides cross references to other relevantdefinitions. 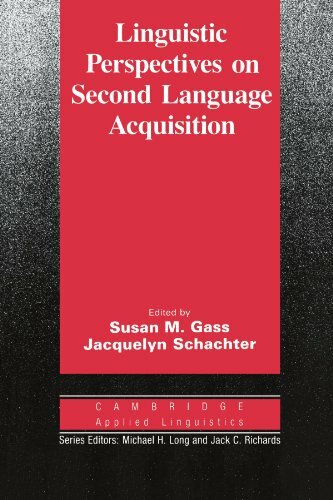 This cutting-edge volume describes the implications of Cognitive Linguistics for the study of second language acquisition (SLA). 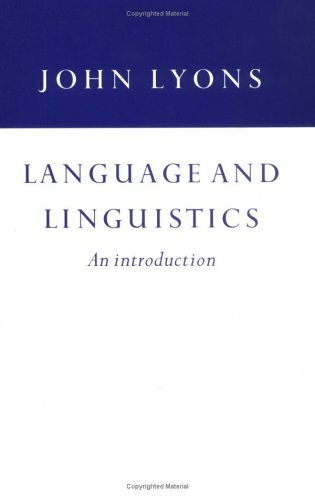 The first two sections identify theoretical and empirical strands of Cognitive Linguistics, presenting them as a coherent whole. 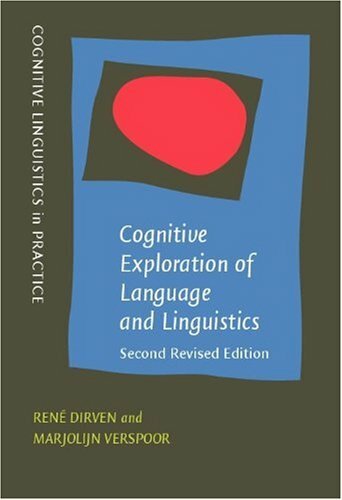 The third section discusses the relevance of Cognitive Linguistics to SLA and defines a research agenda linking these fields with implications for language instruction. Its comprehensive range and tutorial-style chapters make this handbook a valuable resource for students and researchers alike. About every branch of science has two types of people: the "splitters" and the "lumpers. "The splitters are those who separate everything (plants, animals, etc.) into many different groups and doubt they are connected or related. The lumpers find reasons to believe that everything is related.So it is with languages.A linguist named Greenberg grouped all American Indians languages on both continents into three groups: Amerind, Na-Dine (i.e. Apaches), and Eskimo-Aleut.That's a lumper at work. 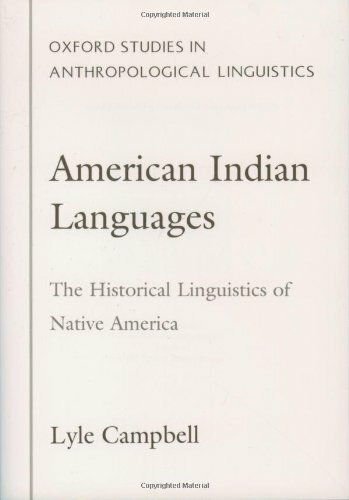 By contrast, Campbell, the author of this book is a splitter, finding reasons why North American Indian languages are not related.He asserts there are dozens -- maybe over a hundred -- American Indian language families which are either unrelated or a relationship cannot be proven. Who's right?I don't know, but it makes for heated debate -- and the correct answer is important the who, where, when, and how of the first people to inhabit the Americas. The virtue of Campbell's book is that he briefly discusses virtually every American Indian language and language family, including those that are proposed but unproven. This sounds pretty dull and technical and beyond the comprehension of the average reader.So it is -- if I qualify as an average reader --but through the fog of technical linguistic discussion comes some wonderfully interesting speculations.For example, how is that two small tribes in northern California speak languages that are related to the Algonquin spoken by dozens of tribes thousands of miles away in Canada, the Great Lakes, and the eastern United States. Did the Algonguins originate in California and migrate eastward?Or the reverse?And, how is that the Uto-Aztecan language family can encompass Indians from El Salvador to Nevada and include both the urbanized Aztecs and the simple hunting gathering groups of the desert? Campbell imparts an enormous amount of information about American Indian languages and their relationships with each other.He discusses the history of American linguistics and the techniques linguists have used in attempting to establish relationships among languages, and he examines the many theories of linguistic relationships, refuting Greenberg and the other lumpers in detail.One of the better features of this 500 page book are maps of tribal locations and linguistic families.Want to know the name and something about the language of the tribe that inhabited the region of Brazilia?Look up the Xakriaba. "American Indian Languages" is not easy reading but as a thorough reference book I doubt that it is matched in its field. This is now the standard reference on this topic, the best place to go for an understanding of what mainstream historical linguists know about the genetic relationships of the native languages of the Americas as well as for an evaluation of proposals of remoter relationships. It is a comprehensive survey by one of the very few scholars with such a breadth of knowledge. 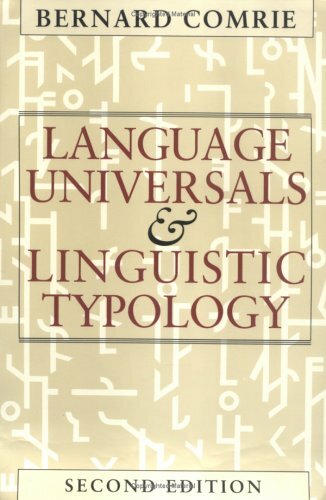 In addition to the main content, the survey of the languages and language families of the Americas, it contains discussions of the methodology of historical linguistics and a review of proposals ranging from the extreme fringe to proposals considered plausible but for one reason or another not clearly established. Campbell rates the subjective likelihood of the proposals discussed on a scale from -100 to 100, where 0 means that he is agnostic as to whether the proposal is valid, -100 means that he is certain that it is invalid, and 100 means that he is certain that it is valid. Contrary to another reviewer's comments, there is nothing idiosyncratic in his understanding of probabilities - he is simply presenting his evaluation in a clear and easily understood fashion that happens not to be the usual probability scale. Any book such as this will seem dry to those looking for interesting facts about American Indian languages. It is a reference book, aimed primarily at scholars and at students and others who want to look up what is known about the genetic affiliation of particular languages. Contrary to another reviewer's comments, one should not expected it to be full of data. A review of the details of the evidence with the scope of this book would require thousands of pages. 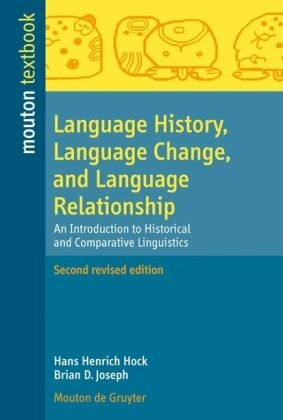 Those looking for a survey of the languages themselves are more likely to be satisfied with Marianne Mithun's Languages of Native North America, or, if they are more interested in social and cultural aspects of languages, with Shirley Silver and Wick Miller's book American Indian Languages: Cultural and Social Contexts. 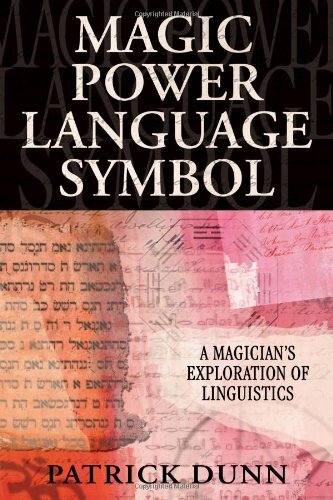 The book devotes considerable attention to the work of Joseph Greenberg because Greenberg's book Language in the Americas has received a great deal of attention from non-linguists, many of whom do not understand that Greenberg's methodology is a throwback to pre-scientific historical linguistics. It happens that at present the popular, uninformed view is one that lumps together languages without justification, so any critique appears to be negative. 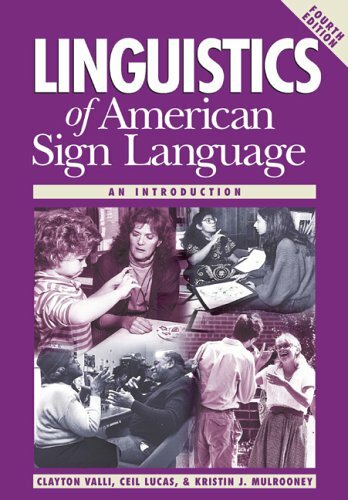 In sum, this book is not only the most authoritative reference on the classification of the languages of the Americas, but it contains useful discussions of how such classifications are created and evaluated and evaluations of proposed relationships that will be useful both to those who need to decide what to believe and to students and others choosing research projects. The reasosn listed by the other post are exactly de reasons why you should buy this book. It offers a different vision from that of Greenberg's (fortunately), refutes many things, give a different classification. Actually, the work of greenberg is falling down, because of the lack of proves. This book never delivers on its title.Thoroughly miserable, its focus is purely negative: an ad hoc piecemeal attack on the author's apparent bugbear, Joseph Greenberg.Buy it only if you wish to be told what to believe, without being given any evidence upon which to judge yourself. Rather than offering his own arguments in support of any genetic relationships, Campbell spends his time attacking portions of the evidence that other classifiers offer.He never addresses the overall context of any circumstance.He remains silent in the face of any evidence he can't refute.The supposed cognates he disputes are almost never given for the reader to judge.Native forms in general are quite rare, and those spread throughout the book might fill two pages of the total work, three at most. Whether one proposes three, two-dozen, or the over 50 "un-relatable" North American stocks that Campbell clings to, any book that purports to study the "Historical Linguistics of Native America" should at least be chock-full of native words or texts, with grammatical sketches and detailed phonetic transcriptions, if not cladograms or posited family trees.Campbell gives us almost nothing.For the majority of "isolates" or families we get a mere list of phonemes without the context of even one single native word. (What would a mere list of the phonemes of English tell you about its history or relationships?Except for Hungarian rounded front vowels and English interdental fricatives, the palatal versus the velar nasal, and /w/, the phonemes of English and Hungarian overlap almost completely.German and Hungarian look like siblings, phonetically.Comparing phonemes alone, one might think Japanese and Spanish were close relatives, while French might appear to come from West Africa.) In a few families case endings or pronouns are given, but never once any full paradigms. The maps given are available elsewhere.There is not one full sketch, brief text, or even partial lexicostatistical wordlist! 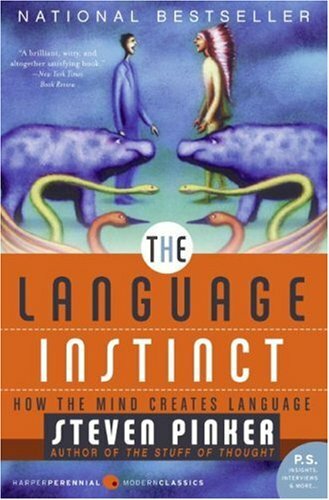 This book's fatal flaw is its exclusively negative focus.Pages upon pages list references in English to secondary and tertiary sources, but the subject languages themselves are studiously ignored.Never making any positive argument of his own, he never feels obliged to provide the one thing a thinking reader wants, the evidence. Campbell further embarrasses himself with his uniquely idiosyncratic system of probability analysis.He cites various theories of distant relationships proposed by other scholars.He then (admittedly subjectively) grades the likeliness of these theories, not on a scale of 0% to 100% as is universally accepted, but rather on a scale of positive to negative (!) 100%, with a 0% probability on his scale indicating an actual probability of 50%. For example, he finds the Tlingit-Eyak-Athabaskan hypothesis to have a +75% probability, by which he means that it is actually 87.5% likely.But to the Na Dene hypothesis (the above family linked to Haida) he gives a 0% probability, by which means an actual 50% likelihood.Any link between Zuni and Penutian (however constituted) he gives a -80% probability.Yes, that's a "negative eighty percent," by which he means an actual possibility of 10%. Confused? Then don't buy this book.Marianne Mithun's "The Languages of North America" is an excellent general source for north of the Rio Grande, with a conservative classification, a well-specimened typological overview of the documented variation, and at least a phonology, sketch, and brief text of each language family.Maps of North America are as good as Campbell's. 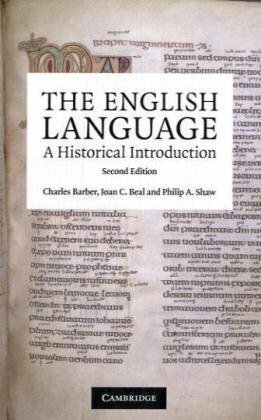 This book is excellent for reference when studying and for personal education if you're interested in learning about the history of the English Language.Sounds boring, but did you know that Farsi is considered a Germanic language like French and Norwegian? ?Also teaches the finer points of language, how words are pronounced and how different dialects develop.Broken down into easy-to-comprehend chapters, each deals with a certain part of the history of language and breaks it down into groups based on geography.From 1 being the easiest and 10 being the worst, reading level is about a 4 yet so much information compacted into a small book creates a dryness level of 8. Ce livre est le premier que j'ai lu lorsque j'ai commencé à m'intéresser à l'histoire de cette langue si répandue, protéiforme et souple, cet ancien dialecte teuton heureusement civilisé par les Normands français, et naturellement les apports latin et grec. Clair, d'une lecture facile, voilà un ouvrage excellent de vulgarisation dont la lecture est à recommander à tous ! This book seems like an excellent introduction to the history of English-language development.I would caution anyone who is considering this book to evaluate how technical a work they wish to read.If the annswer is 'not very' or even 'moderately,' I'd advise them to keep clear of Barber's text.He has many lengthy analyses of morphology and phonology changes of Indo-European, Proto-Germanic and Old-English words, which can be confusing or exhausting if a reader doesn't have a serious interest. (I do, but still think it's a bit dull. )My knowledge of this subject prior to reading the book was very general (i.e.-- of the 'I think the Normans invaded in 1066' type...), but I feel pretty grounded in the topic, after reading Barber's text...I'm ready to tackle Old English! Another caveat-- Barber is British, and bases all his pronunciations on British 'Received Pronunciation' rules, which may challenge American readers--like myself--trying to puzzle out his pronunctions...and a cursory knowledge of Latin and perhaps Greek or German can really help in understanding the 'pre-historical' aspects of his argument. A last note: an earlier reviewer has claimed that this book 'makes clear the relationship between Dutch and English. 'I think he's misunderstood Barber's analysis, as Barber clearly states that English is most closely related to Anglo-Frisian, which is a branch of the West-Germanic group, but distinct from the Dutch/Old Franconian branch.The languages are hereditary, but not linear (according to Barber).This could be a niggling point, but may prejudice potential reader's to Barber. Overall, a great (but technical) read, and thrilling to a determined student of English-language development. If someone is interested in learning the origins, history, and development of the English language, then he or she will gain a lot from this book.There are many technical aspects included.It's also enjoyable.Many applied linguistic terms and areas are covered.From English's relationship to Sanskrit and other languages, to the great vowel shift explaining why English often doesn't sound the way it's spelled--difficult and illogical for students learning the language.The author went into depth about such topics as the culture of the Germanic tribes and how demographics influenced the development of the English language the way it did.The Scandinavians, French, and many others have loaded the language with with many loans words.It's a good informative read. This book is an excellent introduction to the history of the English language.As the other reviewers have noted, it's a bit top-heavy on technical linguistics, and therefore may not be suitable to everyone.But if you don't mind reading a book which could also be used as a 400-level college textbook...I think this book would appeal to any who have an interest in linguistics in general and the history on English in particular - especially if you've read other, lighter books on the topic already and you're ready to get seriously into the topic. Speakers of the World, Unite! In Douglas Adams' Hitchhiker's Guide to the Galaxy, space travelers can communicate with beings from other planets by inserting a Babel fish in their ear. The Babel fish takes in what is spoken and modifies the brain activity of the user to effect a translation. Universal translators are standard equipment in science fiction involving space travel, since it is reasonable to assume that extraterrestrials will not speak English or any other earthly language. 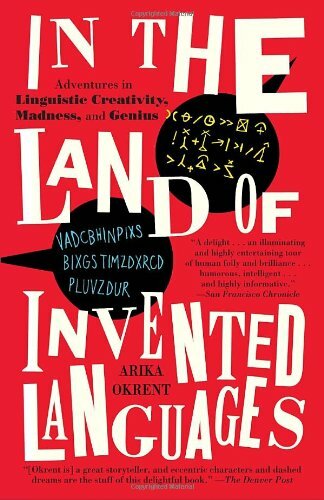 Indeed, given that there are over six thousand mutually unintelligible languages here on Earth, it seems that the technology is badly needed now. However, by the time the technology is available, there may no longer be any need for it. According to David Crystal in his book, English as a Global Language, everyone on Earth will soon speak English. Currently English has the status of a lingua franca, a language that is used for international exchanges. Through history, different languages have served as linguae francae on a regional basis. In Europe, Latin served this role across the Roman Empire, and continued in this function for centuries after the fall of Rome because it was the language of the Catholic Church. In China, where dozens of mutually unintelligible dialects are spoken, Mandarin serves as the common language of government and intellectual exchange. And starting in the seventeenth century, French served as the international language of diplomacy until its fairly recent replacement by English. The status of English as a lingua franca, however, is quickly transforming into that of a global language, one that nearly everyone in the world can speak. This is an unprecedented event, although there has been a trend over history toward linguistic consolidation as a result of political consolidation. The globalization of English was driven by a historical accident, namely that both world powers during the last two centuries spoke English. The language was first spread around the globe in the nineteenth century by the growing British Empire. As British political power waned at the turn of the last century, American influence and prestige was on the ascendancy, further spreading the use of English. The globalization of English is further driven by the growing global economy. More and more people around the world are getting involved in the global marketplace of goods, jobs and ideas. But to participate in this marketplace, you need to speak English. And if it is not your native language, you need to learn it, or you will be left behind. Although there are more native speakers of Mandarin Chinese than there are of English, there are more people who speak English as a second language than any other language in the world. In fact, there are more people who speak English as a second language than as a first language. Combining first and second language users, we find that English is the world's most widely spoken language. Still, only one in four people know English, clearly indicating that English is not yet a true global language. Crystal contemplates two possible futures for global English. In his utopia, he sees all people in the world speaking some sort of World Standard Spoken English when communicating internationally and their native language locally and at home. Crystal points out that even native English speakers would in a sense be bilingual because WSSE would be different from their native dialect. This view of universal bilingualism may seem odd to the monolingual Anglophone, but Crystal points out that the majority of the world's population is already at least bilingual. Thus, the multitude of languages in the world would remain vibrant while WSSE would serve as an auxiliary for international communication. In Crystal's dystopia, on the other hand, he sees all people of the world as Anglophone monolinguals. In his companion book Language Death (2002, Cambridge University Press), he examines how and why languages die and deplores the increasing rate of language extinction. In the current book, he touches on this subject again. Crystal views the loss of linguistic diversity as analogous to the loss of biological diversity, with similar catastrophic consequences for the welfare of humanity. However, Crystal's reasoning is flawed and tainted with gushing romanticism for the polyglot throng. Crystal's frustration with English's global linguistic dominance would be justified if the language were being pushed upon the world's population by some imperialistic force. But it is not. The globalization of English is a grass-roots movement. People want better lives for themselves and for their children, and they see the way to the good life is through participation in the global marketplace. Thus, they learn English and teach it to their children, often not caring whether the younger generation even learns the language of their ancestors. And they do this in spite of governmental attempts to preserve or resurrect heritage languages. It is often suggested that a common world language would lead to world peace by reducing misunderstandings and miscommunications, but Crystal rightly points out the fallacy in that way of thinking. Throughout history, bloody wars have been fought by those who speak the same language, as for example the American Civil War, the breakup of Yugoslavia or the unrest in Northern Ireland today. However, there is a sense in which a common world language would increase the chances of world peace, and that is through the global marketplace. As the world becomes more interconnected and interdependent, warfare becomes a less profitable means of resolving political problems. Crystal hopes for a future in which nation-states conduct their commerce in a common language while maintaining their national languages at home. But there is a bolder, brighter vision of the future--one in which the globe is unified economically, politically and linguistically. As members of a single community, there would be free movement of people, goods and ideas around the globe, facilitated by a single global language. That language would likely be a descendant of English, but with continued admixtures from many other languages. There is no particular reason why English is better suited than others to serve as a global language, in spite of frequent claims of English linguistic superiority. The language mavens (to use Pinker's term) will often declare English syntax simpler or more logical and its vocabulary richer and more expressive than those of other languages, but neither is true. English is just an ordinary language with no advantage other than that it is the language of the current economic and political superpower in the world. As the global economy develops, the number of English speakers will continue to increase. The development of some sort of World Standard Spoken English is virtually inevitable. It is also quite likely that the vast majority of the world's languages will die out because their speakers will no longer be interested in using them. Instead, they will be learning the global language so that they can claim their rightful place as citizens of the world. While this should not be the place to make such arguments, I think that the Norris review below is interesting, but misses the point.Historically, before the advent of "serious" democracy, one's national language was "defined" by the ruling classes.It was the primitive "be like Mike" idea.One wished to emulate their superiors (don't children mimic their elder siblings?) so langauge changed.One must remember that after the French came to England the language of the courts and of government was French; hence, if one wished to do any kind of business with the government, one needed to know French. We live in a time where English has become the new global royal language, for lack of a better way of stating that.It may shift--if America is no longer the dominant culture monetarily or militarily, perhaps this will occur.The point is that like it or not, English is a global language. Another good point is this:if an American moved to France, become a French citizen, etc., would the locals consider them "French? "Of course not; they are transplanted Americans.But if a Frenchmen moved to America, and did all the requisite things, no one would ask otherwise.He'd/She'd be an American.End of story.As racist as many foreigner's claim we are, I think America is a very accepting country.Much more so than many of those who claim we are not.Try moving to Saudi Arabia, for example, and claiming you're a national.Our language is hence much like our culture--accepting of many. As I read this book, I had the impression that the author has never tried to use international versions of English for complex tasks like working with foreign business and technical partners. I work for a multinational corporation myself. We are discouraged from taking time to learn foreign languages because we are told that English is the official language of our company. Then we arrive at our overseas branches and discover that our counterparts can say hello, goodbye, and thank you to us, but little more. I think Crystal is overly optimistic about how much English people are really learning overseas. He also dismisses the cultural chauvinism wrapped up in the belief that English is the perfect global language. Actually, Spanish grammar is much easier to learn, and is much easier for non-native speakers to pronounce. English *is* an international language, but it is only an effective one in the most basic communication situations. A few years ago author Barbara Wallraff wrote an excellent article in the Atlantic Monthly entitled "What Global Language?" (Nov, 2001) which made the point that while international English may be useful for very simple purposes, more complex communication tasks will require something other than English. Author Edward Trimnell (Why You Need a Foreign Language and How to Learn One ISBN: 0974833010) rips the international English argument to shreds by pointing out that a.) cooperation between peoples who don't speak English as a native language is increasing; and in these situations, it makes sense to use a language other than English, and b.) the hubbub about international English has made native English-speakers very complacent in recent years---such that we are now entirely dependent on the language skills of others. Crystal's book is not without its merits, but it comes across as a sales pitch for international English. There is another side to this argument, and I would recommend reading Wallraff and Trimnell before making up your mind. David Crystal's updated version of his 1997 book provides additional content and resources. 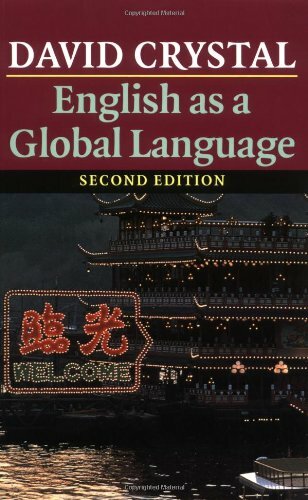 I relied heavily upon his research and discourse to help me complete my master's thesis in international educational development.I recommend this book to anyone who is interested in learning more about the phenomenon of English as a Global Language. In this book, David Crystal presents the future of the English language.According to Crystal, non-native speakers of English outnumber native speakers of English, so it could be said that English has become global.Add to this the fact that English has become the de facto language of business, science, technology, and diplomacy, and it becomes apparent that English belongs to the world.Crystal argues that English will become more influenced by non-native speakers in the future, so we will have to rethink the idea of the "native speaker".As a world language, English doesn't belong to the native speakers in countries such as England and America, but to all who speak it.To speak a language gives you the right to use it as you will.